Curator Paola Antonelli says the white T-shirt is both timeless and universal. "Items: Is Fashion Modern?" takes up the entire 6th floor of MoMA and features objects that range from futuristic to completely ordinary. Pictured here: a Champion hoodie from the 1980s and Richard Malone's Jumpsuit Specimen 2017. Since the 19th-century, jeans have evolved from utilitarian item to fashion statement. According to Antonelli, the ingenuity of an Indian sari lies in its transformability. From baseball caps to saris to the little black dress, there's a social history woven into the clothing we wear. A new exhibition at New York's Museum of Modern Art (MoMA) explores that history. "Items: Is Fashion Modern?" looks at some of the garments that changed the world — but the show less about fashion, and more about design, history and why things last. Consider, for example, flip-flops, aka thongs. "The thong is very important," says MoMA Curator Paola Antonelli. "It's a humble masterpiece. That's why it exists in all cultures." A red hoodie, made by Champion in the 1980s, is also on display. At first, Antonelli says, the hoodie was functional: After training, a sweaty athlete might put one on to stay warm. But in recent years, it's become political. "When Trayvon Martin was wearing it in Florida a few years ago — he was walking at night and buying candy — George Zimmerman thought that he was suspicious because he was wearing the hoodie," she says. "So this disconnect and this misinterpretation transformed the hoodie into a tragic symbol, and also a political symbol." A religious symbol is embodied at MoMA in the hijab — the head and neck covering some Muslim women wear to preserve their modesty. It's been controversial as well as coveted. A few years ago, a Muslim designer in Australia attached a head cover to leggings and a long-sleeved top. The result was a burkini, a swimsuit for observant Muslim women. Mecca Laalaa Hadid helped raise the suit's profile. "She was an observant Muslim young girl [who] wanted to be a lifeguard," Antonelli explains. "And so there are these beautiful pictures of this woman beaming with the burkini of the same color as the other lifeguards' [bathing suits]." She could stay modest and do her surfside surveillance at the same time. The museum puts the burkini next to a bikini — that little, two-piece nothing that originated in France. It first appeared in 1946, to the delight of some beachgoers; others were scandalized, and some knew they could never try it. "The bikini was so skimpy as to be unwearable by a proper woman," Antonelli says. In fact, it was so skimpy that at first the designer couldn't get professional models to display it. So he hired a striptease dancer from the Casino de Paris. Whether a culture favors covering or uncovering, Antonelli says there's one universal: "The female body is always a battleground." Work clothes haven't sparked a lot of controversy, but they have also changed with the times. A well-worn pair of 501 jeans tells a story that began in 1853, when Levi Strauss & Co. started making blue jeans. MoMA fashion historian Stephanie Kramer says denim fabric had been around for years, but during the gold rush, Levi Strauss stitched it into a workman's necessity. "They were the ones that put the rivets at the different stress points of the jeans," she says, "including pockets, crotch, areas like that." Those rivets made the pants more durable. They lasted longer, and became a classic. Today, that onetime utilitarian item has turned into a fashion statement. Designer-made, ripped jeans sell for a fortune, as do acid-washed and stone-washed jeans. "I think it tells you that jeans are the ultimate modern garment," Kramer says. "They're both timeless and temporal." For the show's grand finale, the museum has chosen maybe the most common piece of clothing there is; something you'd find in most people's bureau drawer, man or woman. 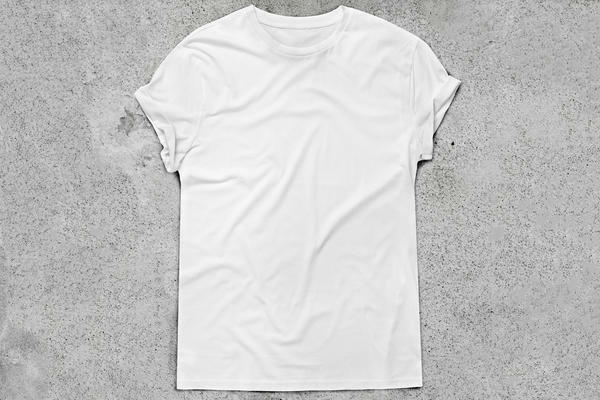 "It makes a lot of sense to end with a white T-shirt," Antonelli says. First of all, it's a power piece. "Power is still represented, in some people's imagination, by the male three-piece suit or two-piece suit — it's still very masculine," Antonelli explains. "But in truth, today, the guy wearing the three-piece suit is probably the bodyguard; the guy with the real power is wearing a T-shirt." The white T-shirt also brings together various points the show is trying to make: "The idea of timelessness, the idea of universality, the idea of good design — old school good design, form follows function — and ecology, fast fashion, how we dispose of objects," Antonelli says. "So everything is crystallized by the white T-shirt." On a video monitor installed near these iconic threads, a young woman walks toward us in a white T-shirt. She begins to take it off, and underneath there's another white T-shirt; and under that another and another and another. The message is clear: This T-shirt goes on and on. It will never end. It's eternal. All right. What do a baseball cap, a sari and a little black dress designed by Chanel have in common? They are all on display in a new exhibition at New York's Museum of Modern Art. MOMA calls them garments that change the world. NPR special correspondent Susan Stamberg says the show is less about fashion and more about design, history and why things last. SUSAN STAMBERG, BYLINE: There's a social history woven into the evolution of what we wear every day. The 111 items on view explore that history in objects that range from futuristic to sublime to completely ordinary. Are you really a shoe fetishist? GLENN LOWRY: I love shoes. Everybody has their madness. I love shoes. STAMBERG: Glenn Lowry, MOMA's dynamic director, has a lot to love in this show - clogs, Converse All Stars, Manolo Blahniks, flip-flops aka thongs. PAOLA ANTONELLI: The thong is very important. It's a humble masterpiece. That's why it exists in all cultures. I was just disappointed he didn't want to talk about the hoodie. STAMBERG: Let's go see the hoodie. 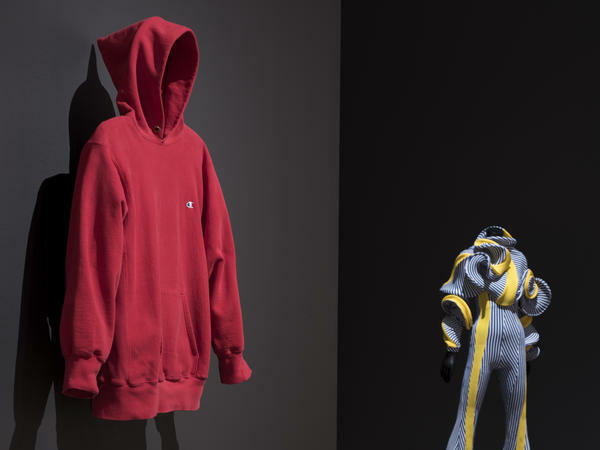 STAMBERG: Curator Paola Antonelli heads across the big space - this show takes up the entire sixth floor of MOMA - to stop at a red hooded top made by Champion in the 1980s. The hoodie, she says, was functional first. After training, sweaty athletes put them on to stay warm. But it's become political. ANTONELLI: When Trayvon Martin was wearing it in Florida a few years ago, he was walking at night and buying candy, George Zimmerman thought that he was suspicious because he was wearing the hoodie. So this disconnect and this misinterpretation transformed the hoodie into a tragic symbol and also a political symbol. STAMBERG: An ancient religious symbol is the hijab, a head and neck covering that preserves modesty for some Muslim women. It's been controversial as well as coveted. A Muslim designer in Australia attached a head cover to waterproof leggings and a long sleeved top to make a burkini so someone could swim. ANTONELLI: She was an observant Muslim young girl that wanted to be a lifeguard. And so there are these beautiful pictures of this woman beaming with the burkini of the same color as the other lifeguards amongst all the lifeguards on a surfboard. STAMBERG: She could stay modest and do her surfside surveillance. The museum puts the burkini next to a bikini, the little two-piece nothing that originated in France. It first appeared in 1946 to the delight of some beachgoers. Others were scandalized, and some knew they could never try it. ANTONELLI: The bikini was so skimpy as to be unwearable by a proper woman. STAMBERG: So skimpy that at first the designer couldn't get professional models to display it. So he hired a striptease dancer from the Casino de Paris. To cover, to uncover - different cultures have different answers, but curator Antonelli says there is one universal. ANTONELLI: The female body is always a battleground. STAMBERG: There's rarely controversy about work clothes, but they also change with the times. 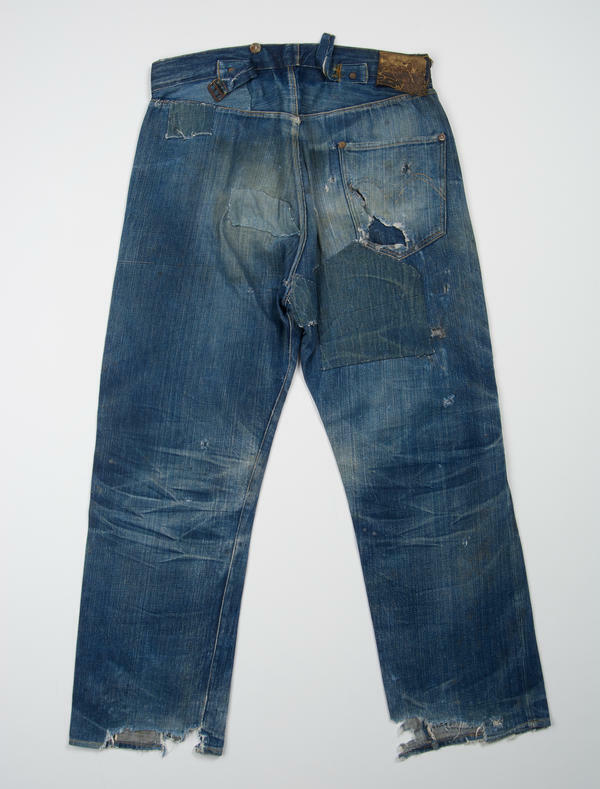 A well-worn pair of 501s tells the story that began in 1853 when Levi-Strauss and Company started making blue jeans. MOMA fashion historian Stephanie Kramer says denim fabric had been around for years, but during the Gold Rush, Levi-Strauss stitched it into a workman's necessity. STEPHANIE KRAMER: They were the ones that put the rivets at the different stress points of the jeans including pockets, crotch, areas like that. STAMBERG: Made them more durable, lasted longer, became a classic. Today that utilitarian item has been turned into a fashion statement. Now designer-made ripped jeans sell for a fortune, as do acid-washed jeans, stone-washed jeans. KRAMER: I think it tells you that jeans are the ultimate modern garment. They're both timeless and temporal. STAMBERG: For the grand finale the museum picks maybe the most common piece of clothing there is, something you'll find in the bureau drawer of people you know, male or female. ANTONELLI: The white T-shirt. Yes. It's actually - it makes a lot of sense to end with the white T-shirt. STAMBERG: First of all, Paola Antonelli says, it's a power piece. ANTONELLI: Because power is still represented in some people's imagination by the male three-piece suit or two-piece suit. It's still very masculine. But in truth, today, the guy wearing a three-piece suit is probably the bodyguard. The guy with the real power is wearing a T-shirt. STAMBERG: But there are other reasons the white T-shirt is this show's final fashion statement. It brings together various points the show is trying to make. ANTONELLI: The idea of timelessness, the idea of universality. The idea of good design, old-school good design. Form follows function. And ecology, fast fashion, how we dispose of objects. So everything is crystallized by the white T-shirt. STAMBERG: On a video monitor installed near these iconic threads, a young woman walks toward us in her white T-shirt. She begins to take it off, and underneath there's another white T-shirt. And under that, another. And another and another. The message is clear. This T-shirt goes on and on. It will never end. It's eternal. In Manhattan, I'm Susan Stamberg, NPR News. Transcript provided by NPR, Copyright NPR.